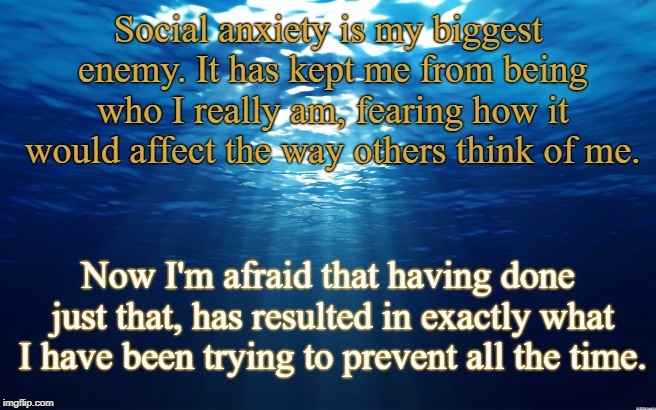 Social anxiety is my biggest enemy. It has kept me from being who I really am, fearing how it would affect the way others think of me. Now I'm afraid that having done just that, has resulted in exactly what I have been trying to prevent all the time.